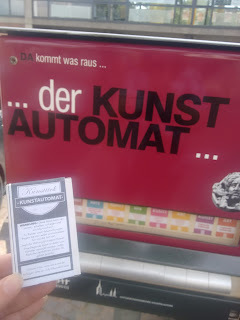 About two years ago, I saw a Kunstautomat in Nuremberg. It's a former cigarette vending machine that's been converted to vend art. How cool is that? I wrote about it here and here. 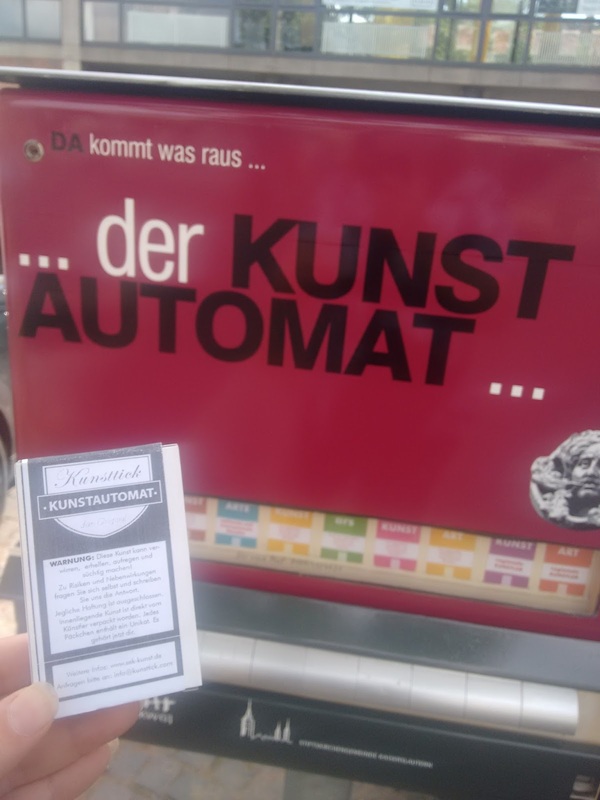 I recently returned from a vacation in the US and found out that Kaiserslautern will not have only one, but two, Kunstautomaten, installed this month. Of course I was curious and had to go find them. The first one is on the southeast corner of Stiftskirche, somewhere near the free-standing Imbiss. Each piece of art costs four euros; the machine accepts one and two Euro coins, and artists are both local and regional. I shoved my coins in and pulled out one of the locally labeled drawers. In the packet, designed to look similar to a cigarette box, there was a small white piece of paper with an embossed relief in it. I'm not sure exactly what it is, but it's interesting, and I was glad to satisfy my curiosity. It hadn't opened yet when I stopped by, but by now the other Automat at the Union Studio will be open too. 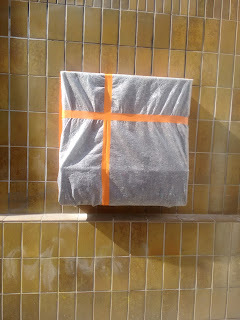 I stalked it (on the west side of the building) and took a picture of it before its unveiling. 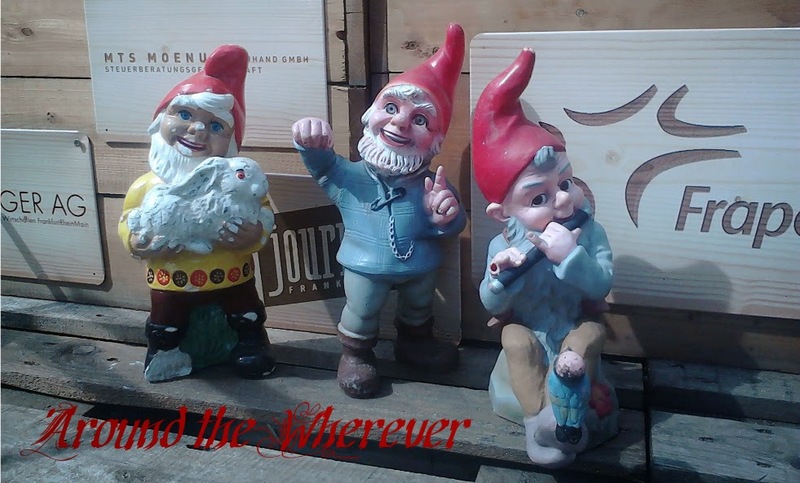 If you're in Kaiserslautern, take a look! My week: June 19 ed.